A virtual character, or avatar, for all the virtual worlds in which people play is the goal of a joint project between IBM and Linden Lab. The computer giant and the creator of Second Life are working on universal avatars that can travel between worlds. The project aims to open up virtual worlds by introducing open tools that work with any online environment. 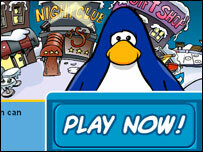 The companies hope to boost interest in virtual worlds as well as make them easier to navigate. At the moment every virtual world requires a player or user to go through the process of creating an avatar that will act as their proxy in that online environment. Typically, an avatar created for one world, be it a game or a system like Second Life, cannot move between these different virtual spaces. The project started by IBM and Linden Lab aims to create a universal character creation system so people only have to create a digital double once. While the character's appearance may change depending on where it is taken, its basic characteristics, such as looks and underlying personal data, would be retained. "It is going to happen anyway," said Colin Parris, IBM vice president of digital convergence in a statement. "If you think you are walled and secure, somebody will create something that's open and then people will drain themselves away as fast as possible," he told the Reuters news agency. By making it easy to travel between different worlds the two companies hope to sharpen competition in the burgeoning market for online worlds. Initially the partners will concentrate on creating a system that lets people move between worlds. Later will come the universal character creation system that lets people create a single avatar to venture into online worlds. The partnership was announced prior to the start of the Virtual Worlds conference taking place in San Jose, California, from 10-11 October. Virtual worlds are rapidly becoming hugely popular. When the first Virtual Worlds conference took place in early 2006 only nine such cyberspaces were widely known. 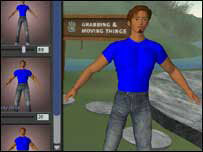 In 2007 more than 30 will be on show at the Virtual Worlds meeting. Do you live in a virtual world?